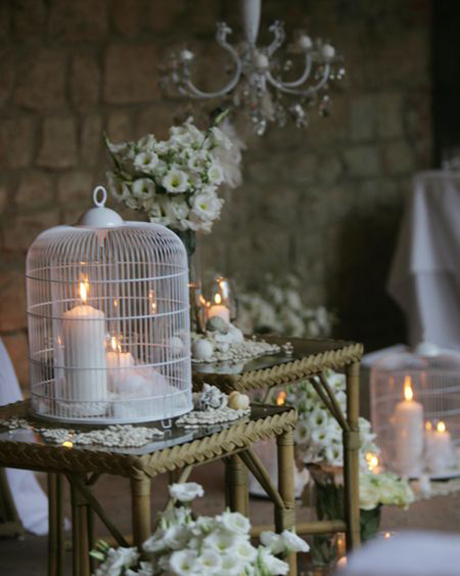 Bird Cages are useful and versatile decorations perfectly suited for adding detail to your wedding. Use them to hold cards, or fill them with flowers, candles—or even cake. We’ve compiled 11 different ways to incorporate these fashionable ornaments into your special day that are as beautiful as they are functional! 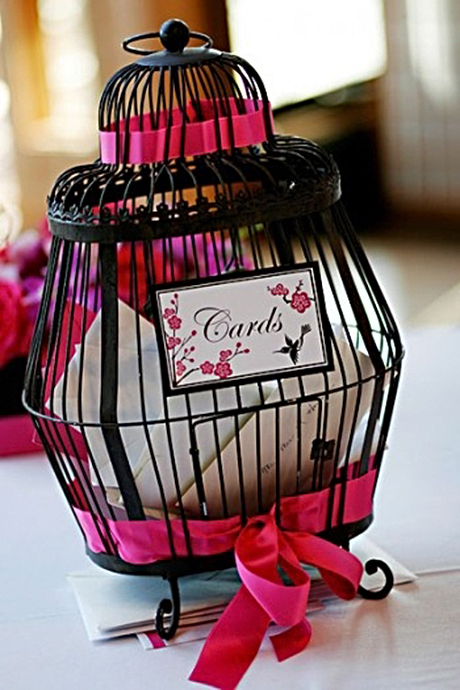 Use a bird cage to hold cards from your guests. Photo from Elizabeth Anne Designs . 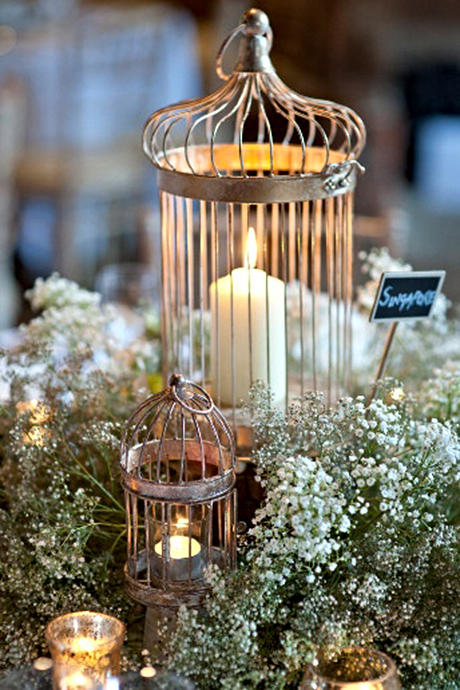 Fill bird cages with flowers for a simple vintage decoration. 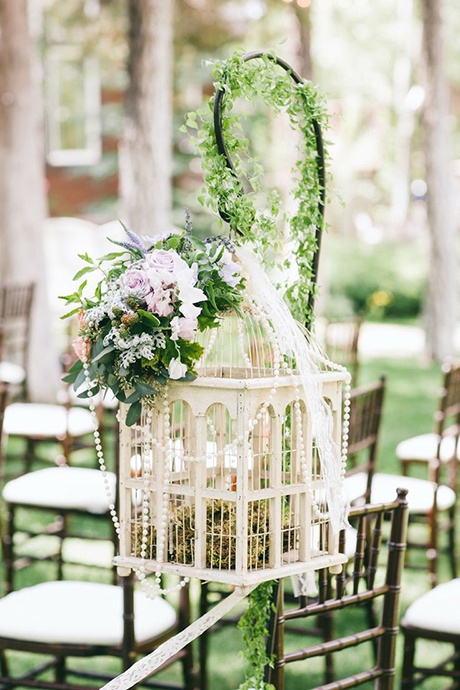 Find cream colored bird cages similar to the one pictured below. 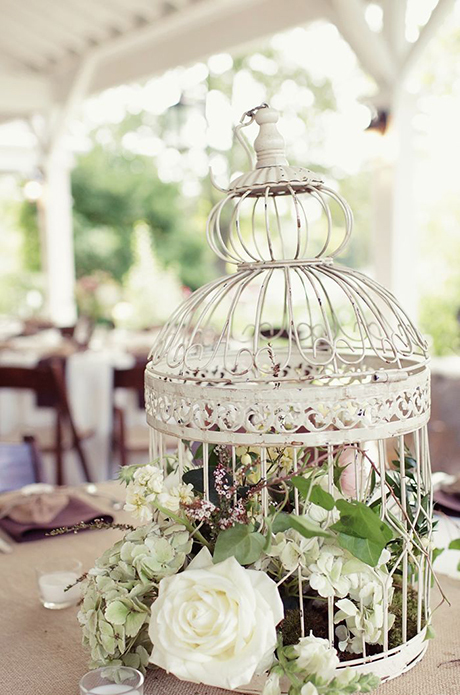 Use bird cages in your centerpiece arrangements. 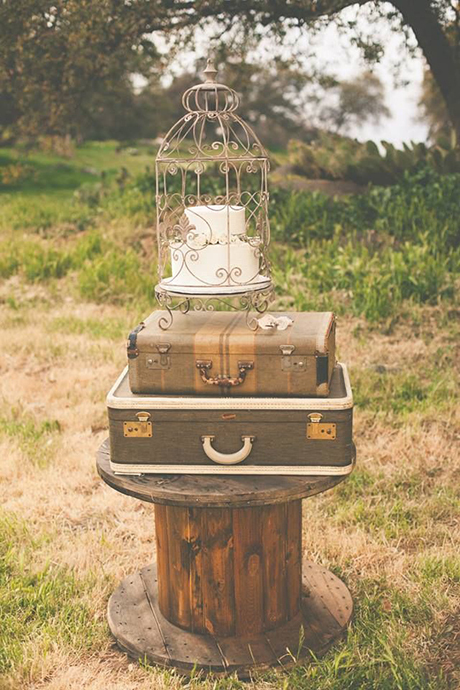 Decorate a small bird cage and use it as a cake topper. The bird cage pictured here is a small domed bird cage set. Hang several decorative cages from shepherd’s hooks and use them to line your wedding aisle. You can find a wood framed bird cage here, similar to the one pictured below. 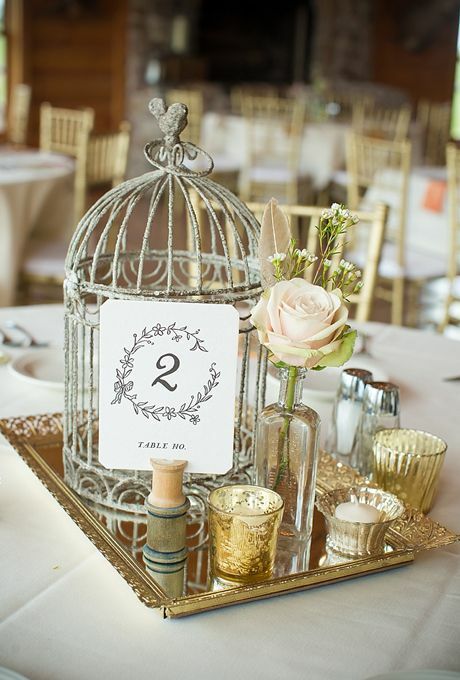 Affix your table numbers to bird cages. 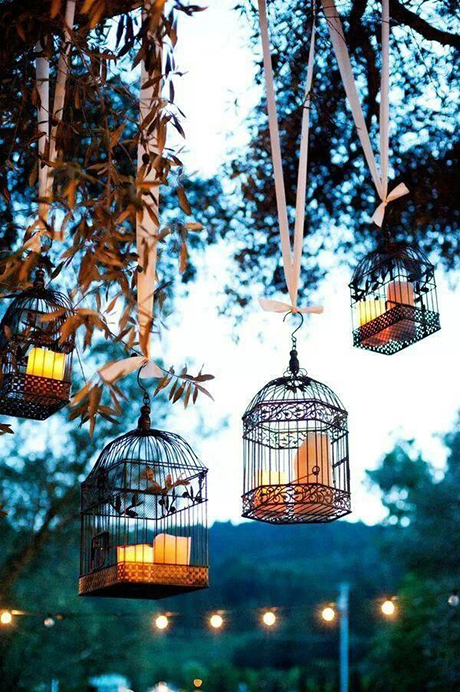 Fill several cages with candles to create ambient light. 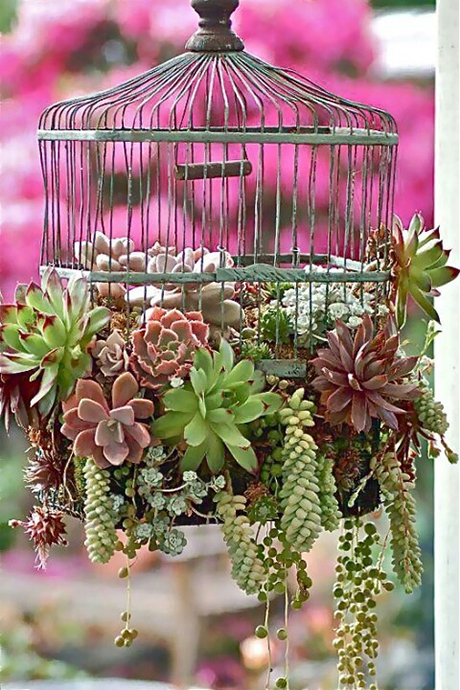 Turn a bird cage into a succulent planter. 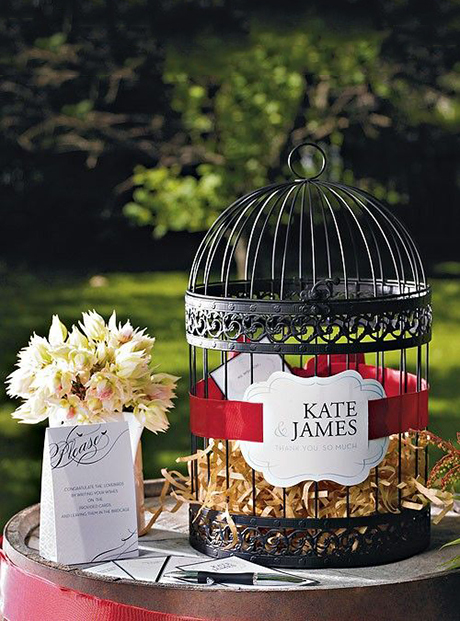 Create an alternative guest book out of a bird cage and leave cards for your guests to write you notes. Suspend a variety of bird cages from tree branches for a unique outdoor decoration. Photo from Borrowed and Bleu. 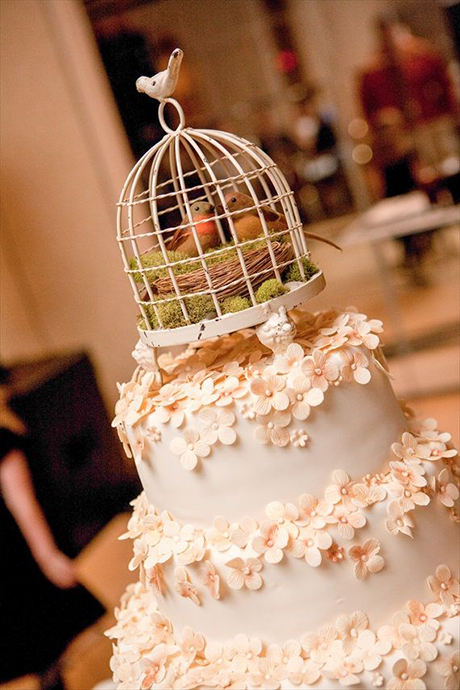 Use a large bird cage to elevate your wedding cake. You can find the bird cage pictured below here.